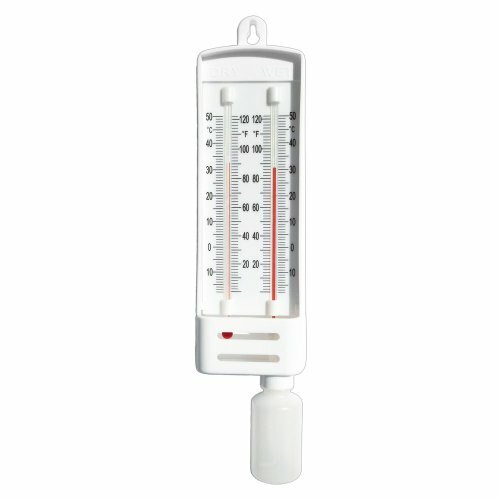 Measure Humidity - Mason's Hygrometer - Red Liquid. One thermometer bulb is kept constantly wet by a siphon reservoir while the other gives a dry temperature reading. Humidity is obtained by comparing the two readings on the enclosed chart. The red liquid masons hygrometer uses a safe and easy to read red liquid in place of the usual mercury. Dual scales of -10/50°C and 10/120°F. If you have any questions about this product by Sper Scientific, contact us by completing and submitting the form below. If you are looking for a specif part number, please include it with your message.